John Holloway is a digital marketer in Roswell, Georgia. John founded Holloway Media in 2007. The business consisted of a network of websites driving traffic to online gaming sites. 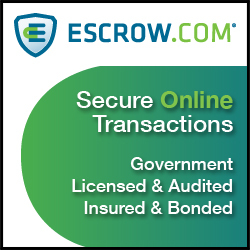 After several years of growth, the network was sold to a larger affiliate. John then founded MotocrossGear.com, selling off-road motorcycle gear. After building and selling the business, John is now the Director of Digital Strategy at NoExam.com, a direct to consumer life insurance company allowing customers to purchase life insurance online. In addition, he runs an affiliate site at GuitarLessons.org. 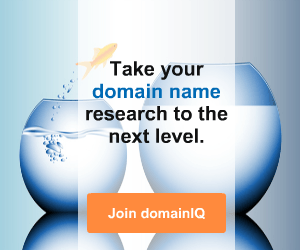 Mike: John, you have a history of success building businesses off of key word domain names. How did you get started in this space? John: In college I was playing a lot of online poker. It was back when playing Texas Hold em swept the country as the cool thing to do. I remember one day seeing a link at the bottom of PartyPoker.com that said “affiliates”. For some reason I clicked it, and it was a page about how to make money by sending new customers to them from your website. That’s when the gears started turning for me. I realized that I could have a website that could make money. Mike: Holloway Media used the strategy of driving traffic to gaming sites. Is it difficult to build traffic? Can you talk about how you were able to achieve that and is it still possible today? John: Getting traffic to your website in 2008 was much easier than it is today. Your content didn’t have to be good, you just had to have lots of links pointing to your site. Fast forward 10 years and Google has improved their algorithm substantially. Not only does your content need to be extremely high quality, but it must match the user intent for the phrases you want it to rank for. You still need links pointing to your website, but not just any links. You need links from highly trusted sites that have high levels of editorial integrity. If you can produce content that people want to read and get your content mentioned and linked from major publishers, then yes, it is still possible today. Mike: Tell me about MotocrossGear.com. Was this an affiliate site or did you actually have an inventory and deliver products? If so, how different of a business model was this from what you were used to doing? John: This site was launched off the back of a huge Facebook page I had built for the topic of Motocross. At the time, Facebook’s ad platform was new. I found that I could basically buy likes to the page for less than .01 by targeting teenagers in the UK. Facebook pages used to have a discussion tab where people could post messages and discuss topics much like a traditional internet forum. Once I seeded the page with enough likes, people would post on the discussion board and it would bring in a lot of new likes for the page. The page sort of snowballed from there, getting up to over 3 million fans. I was really into riding motocross at the time and was fresh off my sale of my affiliate websites, I decided to buy the domain and try my hand at a real ecommerce business. I had to make an actual retail store front to get the products. I had to deal with distributors, shipping, returns, fraud. It was completely different than what I had been doing. It was a real eye opener. I loved all the online marketing aspects of it, but the actual hands on business part was too much for me. My ego was pumped up from my previous success, and I didn’t think it through all the way. Mike: I want to talk a bit about your current sites. Let’s start with GuitarLessons.org. How much did you pay for the name and how did you acquire it? John: I paid 15k for the name. I acquired it back in 2011 (I think). I’ve always been into music and thought maybe someday I would do a project in that space. I had been searching for guitar related domains and this one was for sale on Sedo. The owner had originally replied with the standard sky high price for the domain, but after a little back and forth I was able to get it down. Mike: Talk us through how the site works and generates revenue. John: In its current state the site makes most of its revenue through affiliate programs. I review guitar products and offer my insight on them. I try to make the content useful for readers by including things in my reviews that you might not think of. For example, if it’s a review of a distortion pedal I would include things like what notable artists use it, what guitars and pedals it pairs well with for a unique sound and what other pedals you should consider if you are looking at this one. I also write up some very basic lessons for songs. I’ll lay the song out with the chords and lyrics, and offer some tips for how to play it. I only have a handful of songs on the site, but I plan on adding much more in the future as my time allows. I usually place Google Adsense on the pages that offer lessons. Mike: How much traffic does the site receive? How are you driving traffic to the site? John: Currently the site gets about 100,000 visitors per month. Most of this traffic is coming from search engines. Mike: How often do you have to update the site to keep the content fresh? John: I typically add between 3-5 new pages to the site per week. I’ll often update 1-2 pages per month with new products that come to market. 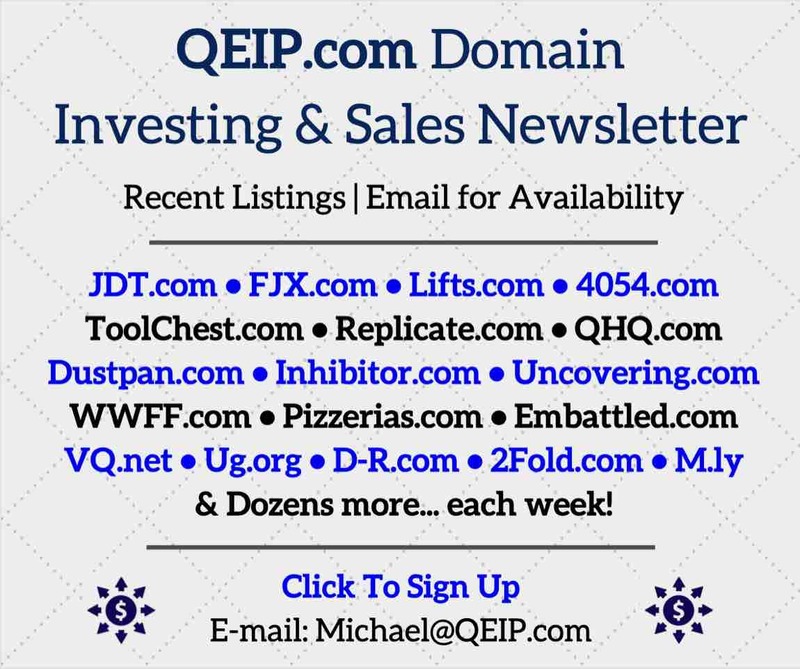 Mike: How well has a dot org worked for you as opposed to a dot com or one of the other TLDs? John: It has worked well. In the past I have built sites on .org domains and they have done great. I prefer having a .com, but these days finding a good .com is becoming harder and harder. With the guitar site, I bought the .org thinking that I would create a huge database of free guitar lessons. .Org domains have always had that non-profit vibe to them, so I wanted to do something where I offered the product/content for free and monetized it with ads. Mike: On to NoExam.com. What is the site all about? John: This is a business that I started with a close friend of mine back in 2013. It was just after I got out of the motocross ecommerce site, and I was looking for something new. My friend had been in insurance for several years and was telling me all about how that space was ripe for disruption. We decided to team up and we formed a partnership where he handles most of the insurance side and I handle most of the technology side. We are a life insurance brokerage that specializes in selling term life insurance that doesn’t require the health exam. 5 years ago buying a life insurance policy was a major pain. The health exam was the pain point. The whole process took around 6 weeks. With the new products hitting the market, this was being cut down to just a few days. We saw there was a market of people searching for life insurance without an exam. So we based our business, NoExam.com, around the idea that you can buy life insurance and skip that part of the process. We initially considered some other more specific domains, but a mentor of mine suggested to go with the shortest version. We negotiated back and forth on the domain for a while, and eventually got it down to around $7,000, and got it transferred to us on my birthday! Not bad for a 6 letter .com. Mike: How do you learn what you need to about these various industries in order to run successful websites? John: Lots of reading but mostly trial and error. Most of what I do can be applied to different industries. People are constantly searching for information and answers to their problems on the internet. As a business, if you can help solve their problems, they are one step closer to buying from you. I take that concept and apply it to whatever business I am in. If someone is looking for answers regarding life insurance and I can get my content to show up and answer their questions, then I can have a satisfied customer. 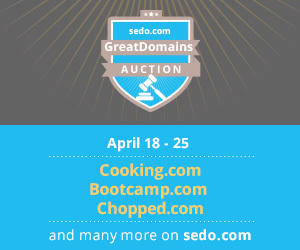 Mike: In your opinion, are keyword domains still the ideal route to take for driving a business? Why or why not? John: I think so. In the past there was an SEO benefit to having a domain name that matched the search term exactly, but Google has long since done away with that. I think they are great from a branding point of view. If a user is looking at a page with 10 results, and your domain name contains a few keywords that relate to what they just searched for you stand out more. 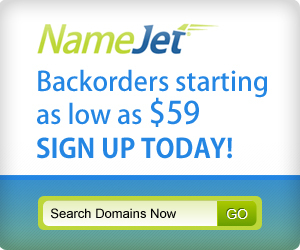 If you can land a great domain name, why not build a business around it? Great interview – John is a true entrepreneur. Thanks Travis. His ventures are inspirational!